Alto’s Adventure is getting a lot of good press, for a lot of good reasons. 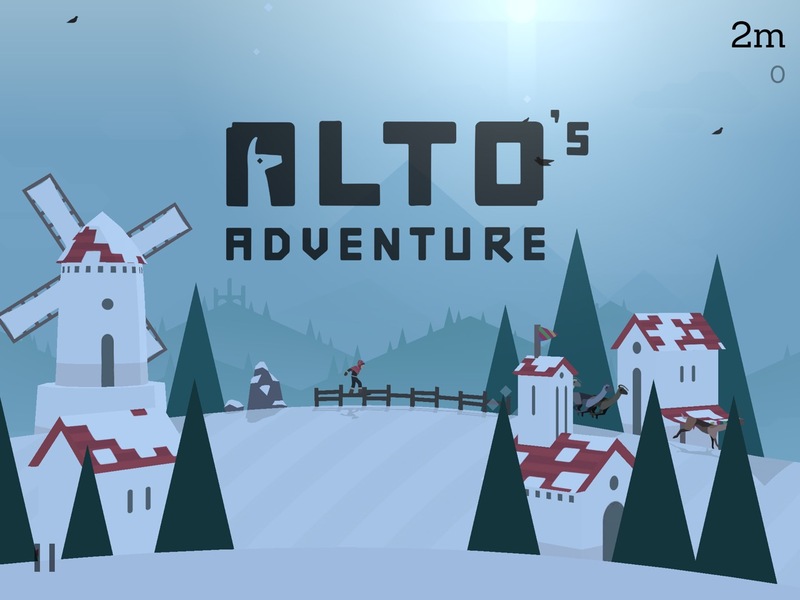 With a combination of compelling but uncomplicated gameplay, beautiful graphics, and a sprightly soundtrack that perfectly fits the scenario, Alto’s Adventure is one of the best things to hit the App Store in a while. You play the part of Alto, a simple yak herder from a snowy and mountainous part of the world. Someone left the barn door open and your yaks have made an escape. You grab your snowboard and start chasing them down. Along the way you need to jump over rocks and chasms to avoid biting it, and starting back at the barn. As you catch each errant yak, you gain points with which you can upgrade your snowboard and skills, such as your jump hang time. In the only tired metaphor used in the game, you also scoop up coins for upgrading the board and yourself. As you careen down the mountain you’re presented with bridges and cables you can jump onto and shred to gain more points. Finally, doing simple flips and other tricks will also gain you points. But really this point-gathering takes backstage to the gameplay and graphics. Lucha Amigos is an entertaining mashup of Angry Birds-style launching and bumper-pool geometry in which you try to launch turtles to explode cacti inside rooms with bouncy walls. Yes, it makes no sense at all, and it’s still a fun casual game, with no annoying in-app purchase delays, that will have you coming back for more. In Lucha Amigos (“Fighting Friends” in Spanish) you’re presented with a top-down view of one room after another with various walls and furniture. Each room represents a game level, and is filled with several randomly-spaced cacti and flowers. 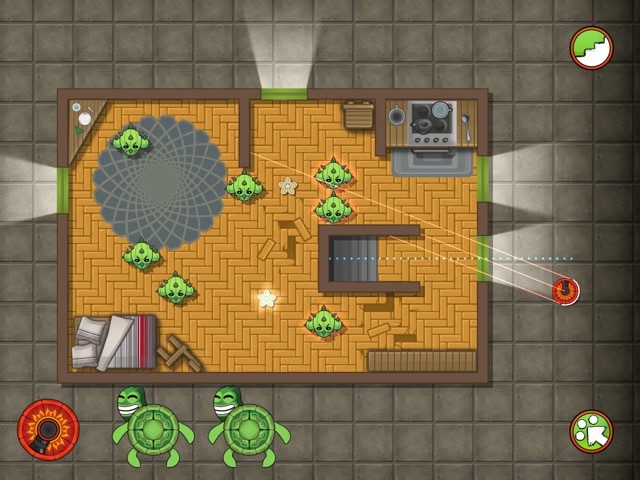 You get an arsenal of three–four turtles which you fire into the room using a slingshot-style launcher. Your job is to run into and therefore explode as many cacti as possible. Running over the flowers also gets you smiles from the señoritas in your cheering section. As you hit and explode cacti, your turtle bounces off, and continues to carom around the room until it loses steam. Red turtles have a little gun you can fire to shoot more cacti and flowers. If you knock out all the cacti with your turtles, you win the level and the next is unlocked. If you use up your turtles without decimating the cacti, you get laughed at and try the same room again. The levels seem never-ending so you won’t run out of challenges. It’s nonsensical enough that it’s easier to play than explain, so just try it! If you favor driving games, and love games that hook you with that “just one more try” feeling (think Crossy Roads), I’ve got an arcade racer for you. 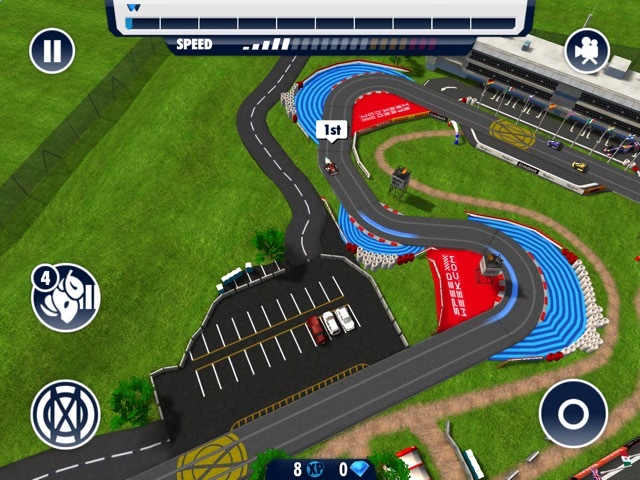 Red Bull Racers for iPad is a slot-car racing game that puts you in a multitude of vehicles, on dozens of tracks, against 0–4 opponents. The races are fun, the gameplay is addictive, and the graphics and sound are smooth and responsive. 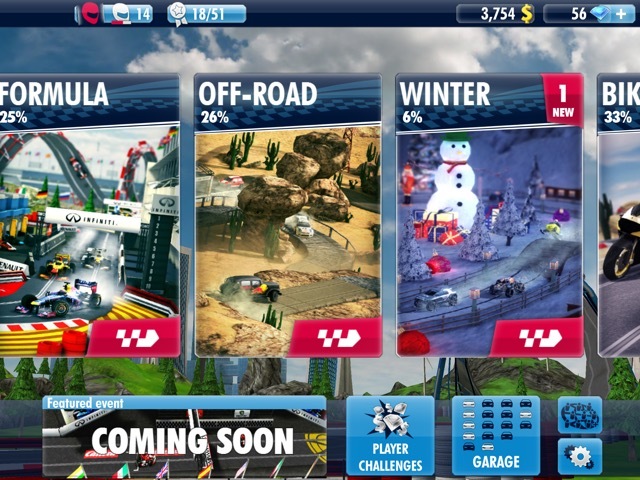 As a free-to-play offering, Red Bull Racing is definitely worth your time to download and play. In Red Bull Racing you drive a go-cart, race car, motorcycle, or snowmobile around a slot-car race track. The tracks range from smooth grand-prix style, to rough dirt with jumps, and even snow-packed courses. No matter the track or the vehicle, your job is the same: go as fast as you can to pass your competitors and come in first, while managing your corner speed so as to not go flying off the course and lose time while you watch the other cars leave you behind. There are six “cups,” or racing series. Within each cup are three racing levels: beginner, amateur, and pro. Finally, within each level there are 12 events, nine of them single-player, and three multi-player. As you can see there are lots of races over many course: you won’t get bored. In the first 10 minutes I spent playing DOOM for the iPad I felt like I had returned to 1993, playing the hottest new 3-D video game, in my slovenly bachelor pad with the sticky carpet, on my Macintosh LC. 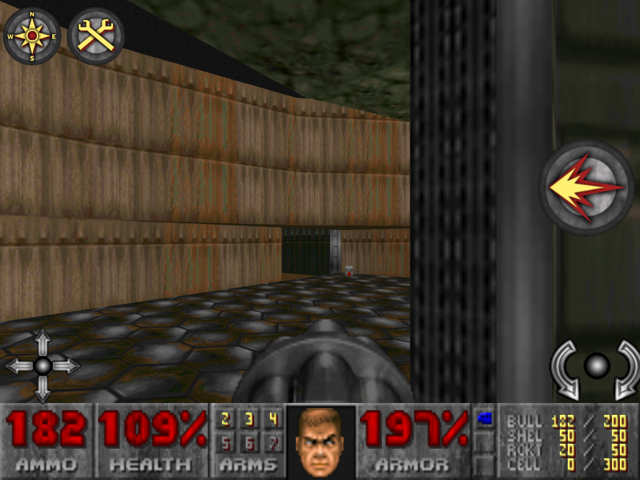 With apologies to Wolfenstien 3D fans, DOOM was really the first immersive, mass-market first-person shooter (FPS). It was like nothing before, and set the stage for an entire genre that ate PCs, then consoles, and finally… iPads. 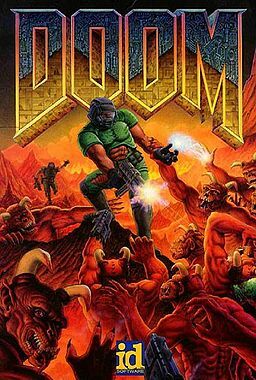 Those of us who have wasted more hours than we’ll admit with a PS3 controller in our hands and Call of Duty on the big screen owe a debt to the creators of DOOM, id Software. In those days before multi-player, my co-workers and I bragged about high scores, and shared cheat codes we copied from Usenet newsgroups (ask your Dad). For the uninitiated, let me set the stage: you play the part of an unarmed space marine that finds himself in a space station, seeking to survive alien attacks, and find his way out of the station through an almost-endless series of mazes. You confront bad guys, steal their weapons, and walk around picking up ammo and health packs for when you’re all shot up (which is often). You also need to pick up keys that open doors that lead you out of each level, and into the next. If you survive, you find weapons of greater and greater firepower, starting with a weak little revolver, to shotguns, to machine guns, and ultimately to the “BFG” which stands for… well, you get it. You need these guns to dispose of the tougher and tougher bad guys you encounter while wandering around the mostly empty space station. On the original PC title, your finger was always poised over the command-S option, to save your progress in case you died, which you did with startling regularity. 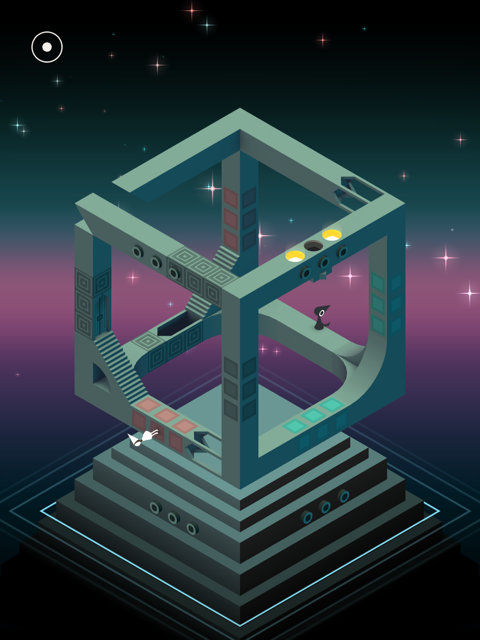 Believe the hype: stop what you’re doing, go to the App Store, and download Monument Valley right now. I promise you’ll be serenely happy you did. Yes, I know I’m late to the party, but I did not expect to like it: my tastes run more to racing games and shoot-em-ups. Puzzles? Please, I have enough puzzles in my work and personal life. But Monument Valley grabbed my attention in about 30 seconds after (finally) seeing it, and kept me mesmerized and now jonesing for more levels (please!). This is a video game like no other. It seduces you into an Escher-esque, Alice in Wonderland world which challenges your analytical skills and your assumptions about physics, while offering you a peaceful, zen-like, museum-beauty setting. It leaves you both so very satisfied with yourself when you figure out keys to each level, and yearning for the next one. Once I finished the ten levels ($2.99) I felt a hungry sadness, and immediately bought the expansion pack ($2.99). I have now finished those eight additional levels and am sending the developers (Ustwo) love notes, begging them to deliver the next round. It’s almost like a peaceful yet addictive drug. 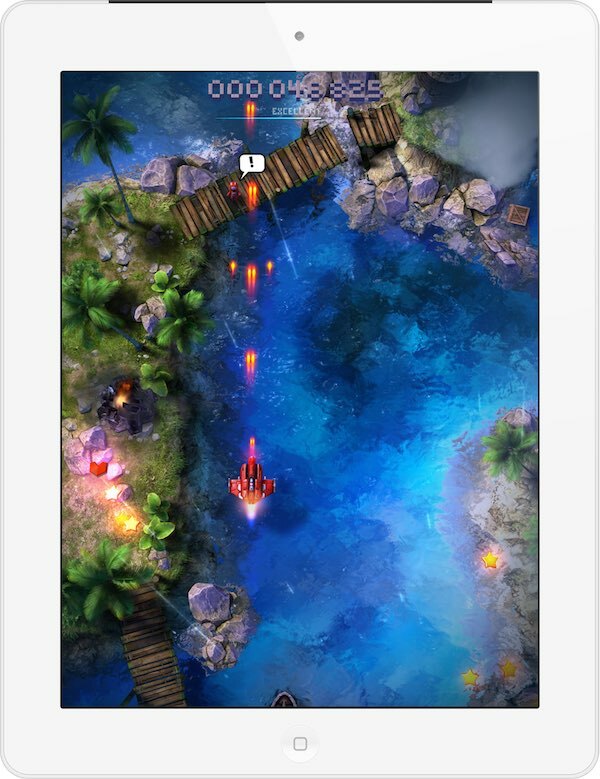 I don’t tend to play iPad games for very long unless I’ve volunteered to review them. I tend to feel compelled to play just so my coverage is more comprehensive. Sky Force 2014 is one of those rare cases where “business as usual” has been flipped on its head. This game is so good that I feel I have to talk about it. Sky Force functions like a lot of top-down “bullet hell” shooters: you weave your plane in and out of enemy fire while firing your own salvos back. Some stages end in boss fights, while others just throw waves of enemies at you. This all sounds very vanilla, but it’s executed very well. The touch controls are surprisingly tight, which is great, since top-down shooters like Sky Force require fine-grained controls in order to play properly. The game offers the option of tapping on the screen to move your plane, or sliding your finger and having your plane trace a similar path. One other nice touch is what happens when you take your finger off the screen: everything in the game slows down to a crawl. This isn’t in lieu of a pause button (that’s in the top right corner), but rather for taking a moment to see how much is on screen and how you could weave your way through it. I love this feature. 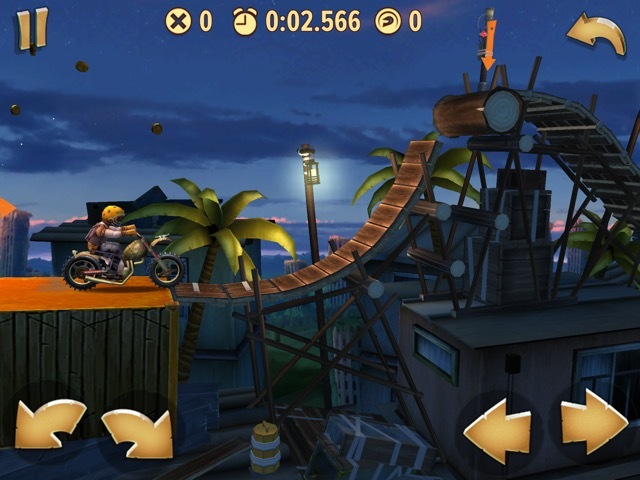 Trials Frontier is a fun arcade-style motorcycle stunt riding experience. The whimsical graphics, unique bike controls, and intricate courses make the riding interesting, and you’ll find yourself laughing at your own crashes. Even at the very beginner levels, the bike responds well to inputs and you’ll quickly become more expert in jumping, wheelying, and flying through the air without landing on your head. Trials Frontier is set in a dusty desert town. You play the part of an aspiring motorcycle trials rider. (For the uninitiated, motorcycle trials is the sport where you try to get you and your bike up, over, and around obstacles without falling or putting a foot down.) The town is populated with various characters, some friendly, some nefarious, and some who want your help. In order to help them you take part in motorcycle competitions, sometimes against the clock, and sometimes against one of the bad guys, collecting rewards for good performance. You’ll need those rewards to upgrade your bike and remain competitive as you pass through the many levels. Characters include a map-maker who needs your help charting desert territory, a bad guy named Butch who’s been terrorizing the town, and a damsel who needs your help to get rid of Butch and reclaim the town. Air Race Speed is a fast and fun way for you to test your space-fighter pilot skills like Luke Skywalker in the famous trench-run finale to the original Star Wars movie. You use the iPad’s motion sensor or on-screen controls to guide a series of faster and faster ships through tunnels, past obstacles, and around moving barriers. Air Race Speed is a perfect combination of easy to pick up, but challenging to get good at. While the object of the game is immediately apparent, and the controls self-explanatory, getting higher speeds and therefore lower lap times takes skill, practice, and luck. As a beginner, you start with a slow but easy-to-control ship. Your mission is to guide your ship through a series of tunnels and around obstacles without crashing, and get the lowest possible time on each course. The ship is set to coast at a slow speed without any interaction from you. 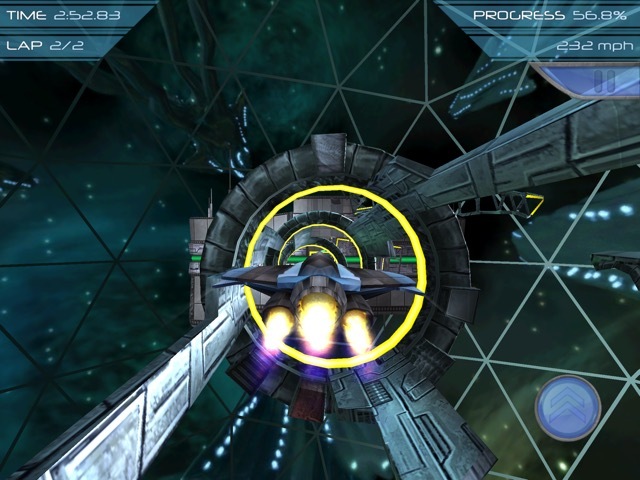 You speed up by firing your afterburners: the increase in speed is quick and significant. There are time penalties for crashing, so you need skill to get though the courses quickly, constantly measuring the trade-off between speed and control. FlipPix Art is a logic puzzle app that is fun for all ages. You need to use logic to fill in squares that form an approximation of an image. 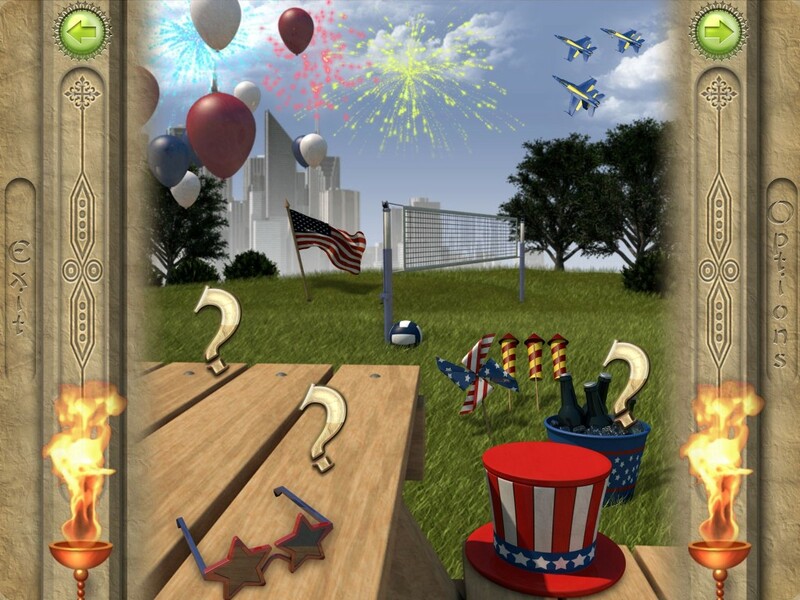 When you touch Play, you are presented with a picture with question marks representing hidden pictures that will be revealed when you solve the puzzle. Touch a question mark and you will get the puzzle. There are 3 levels of play, 5×5, 10×10 and 15×15. Let’s look at the simplest level, 5×5 first to see how it all works. You have a five by 5 grid with patterns for each row both vertically and horizontally. The pattern of the second row across is 1 1 1. That means the first, third and fifth square is on, the second and fourth square is off. To make this move, touch the first, third and fifth squares on the second row and then touch the paintbrush at the right. 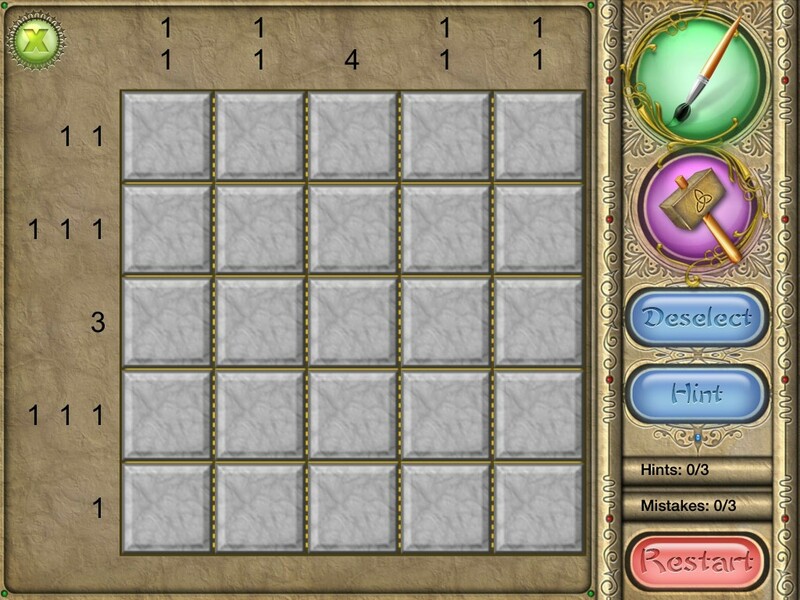 To turn off the second and fourth squares, touch them and then touch the hammer at the right. Hitman GO is a brilliant and surprisingly charming adaptation of the Hitman concept. Hitman games have always been played from a third-person perspective, and required precise timing and thorough knowledge of your surroundings to successfully assassinate your targets. 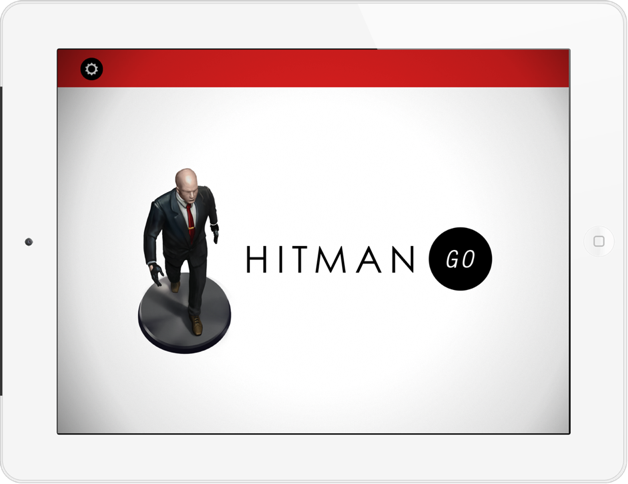 Hitman GO, on the other hand, plays more like a board game. It’s sort of like Monopoly — but instead of making a killing, you’re just killing. 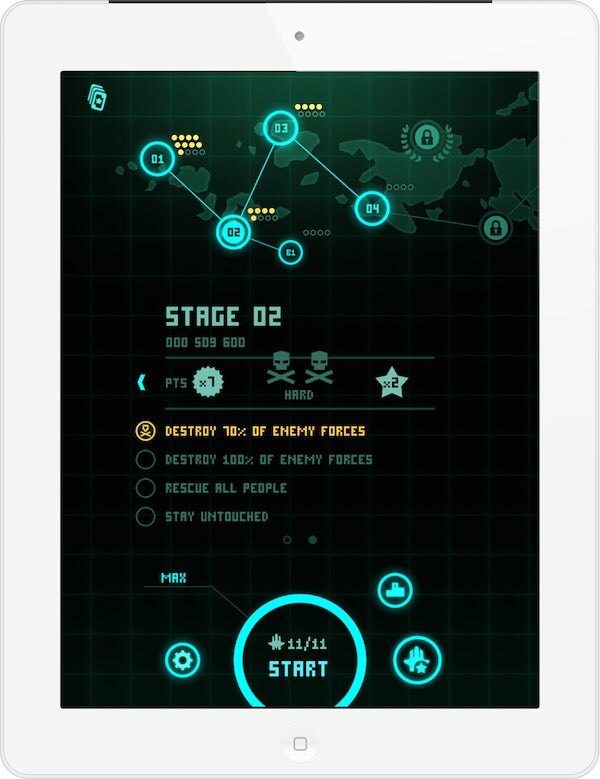 This mobile version of the game removes the need for reflexes or advanced scouting; instead, it trains the player to become an efficient, route-planning eraser of people. You swipe on your character, Agent 47, to move him one space at a time, and each time you move, the enemies on the level will react in some way (by patrolling or turning around). Some levels are as simple as weaving your way around the enemy patrols until you reach the exit, while others will have you using items (rocks, sniper rifles, and trap doors) in the environment to find your way to a target and take them out.